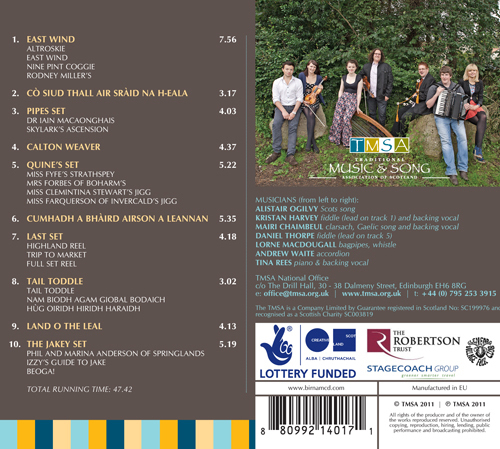 A showcase of the new generation of Scottish musicians, the TMSA Young Trad Tour CD studio album features the 5 finalists and winner of the BBC Radio Scotland Young Traditional Musician of the Year 2011 and the previous winner from 2010. This prestigious award, organised by Hands Up for Trad at Celtic Connections Festival each year, provides a unique experience for young musicians to develop their musical careers and for audiences to hear this dynamic combination of instrumental and vocal talent – which the TMSA is proud to present and promote. 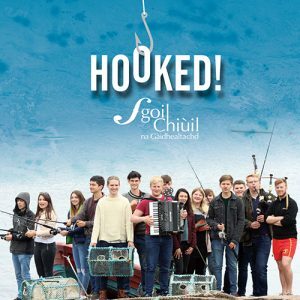 Featuring Orcadian fiddler Kristan Harvey (2011 winner); Lorne MacDougall from Carradale, Argyll (pipes/whistles); Tina Rees from Glasgow (piano); Alistair Ogilvy from Strathblane (Scots song); Mairi Chaimbeul from Kyle of Lochalsh, Skye (clarsach/Gaelic song); Andrew Waite from Duns in the Scottish Borders (accordion) and 2010 winner, Dan Thorpe, from Inverurie (fiddle), the album was recorded at Castlesound Studios near Edinburgh, under the musical direction of renowned Scottish composer & virtuoso harpist, Corrina Hewat. It was designed & pressed by Birnam CD with photography by Louis deCarlo. 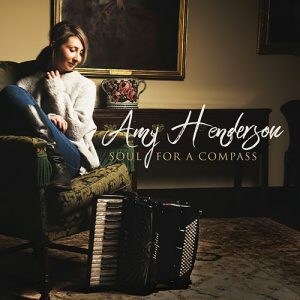 In 2011, the concert and workshop tour runs 19 October – 6 November, taking in Dundee, Kirkwall, Lyth, Inverness, Aberfeldy, Livingston, Campbeltown, Portree, St Andrews, Glasgow, Coldingham and features in three BBC Radio Scotland programmes. 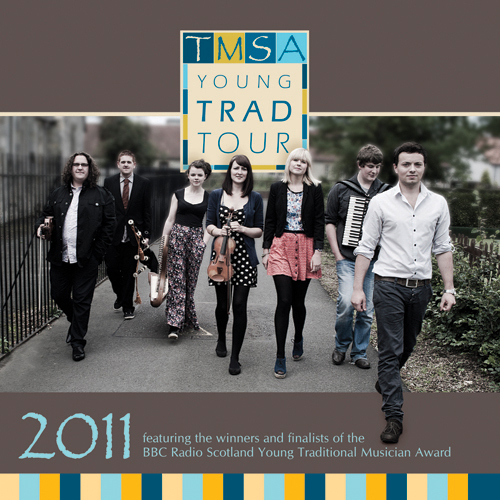 The TMSA Young Trad Tour 2011 is supported by The National Lottery through Creative Scotland who awarded the project from their Traditional Arts funding programme, a total of £23,000 on 15 April 2011. 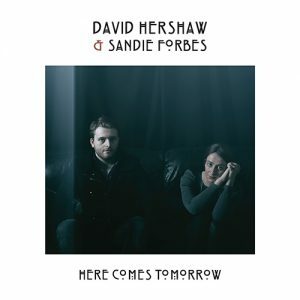 It is also supported by The Robertson Trust, Stagecoach Group and Glenfarg Folk Club. 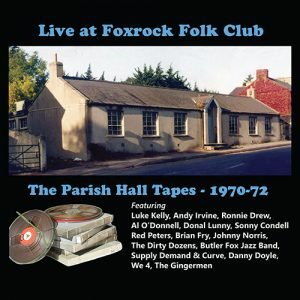 The Traditional Music & Song Association (TMSA) of Scotland, set up in 1966, is a membership organisation whose core aim is to foster and promote Scotland’s unique musical traditions. The TMSA encourages widespread popular participation and individual artistic excellence.